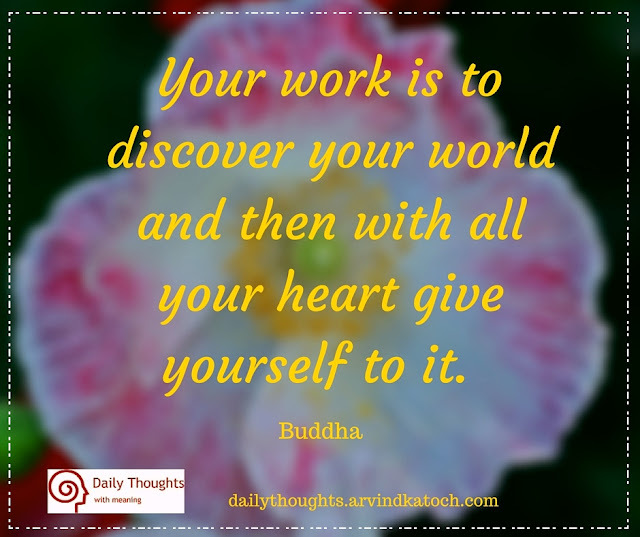 "Your work is to discover your world and then with all your heart give yourself to it. Buddha"
Daily Thought Meaning/Explanation - First of all we all need to define our world, what we want from the life? When we know what we want from the life, then we should give our all energy to fulfill this dream.